Customer Ben Whistler Ltd. is a bespoke furniture company based in the affluent Chelsea Harbour area of London. The company specialises in beautiful, unique furniture that is made to order, for commercial and residential customers. We carried out a full air conditioning repair, and will be carrying out air conditioning servicing on an ongoing basis from now on. What was the customer’s air conditioning requirement? The customer originally got in touch with us due to malfunctioning air conditioning machines. They called us out to look at units that weren’t cooling – they have various small offices within their premises, each of which is fitted with a cassette and high wall mount air conditioning unit designed to heat and cool the space. On examining the air conditioning units, we found that the filters were badly blocked. We cleaned these out to repair the units and get them back up and running, making sure they were operating efficiently once more. The customer was very happy with our work and decided to take out a maintenance contract with us. This will involve a maintenance and servicing visit every six months, to check up on the air conditioning units and ensure everything is running as it should be. The customer’s air conditioning units are from Mitsubishi, a brand we often work with, and they are of a high quality – with our ongoing servicing, we are confident that we will be able to keep their units in good working order. What did the customer have to say? • Unusual noises. Rattling or loud noises within the unit could be an indication of a service being needed. • Limited cooling. 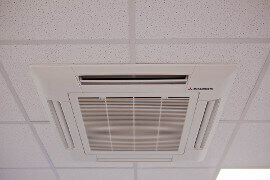 If your unit isn’t cooling a room effectively, a service is needed to sort this out. • Moisture. If you see condensation or leaks, it is probably time for your unit to be serviced. 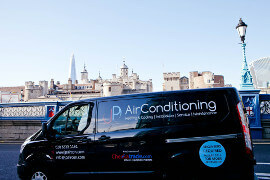 If you would like us to look at your air conditioning units, please just get in touch. 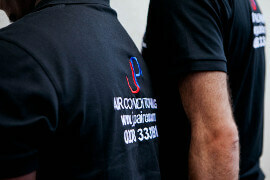 Want to ask us a question about your own air conditioning needs? 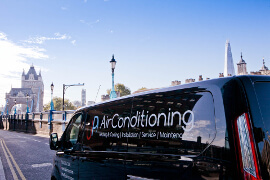 We help many customers in the London area with air conditioning repairs, servicing and installations, meeting their requirements in full.